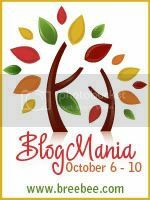 Coming soon to 80 blogs near you is the 4th season of BlogMania!!! You will see a wide range of prize packages that you be able to enter to win. You can see some of the sponsor prizes HERE. For now, let’s ‘warm’ up with a pre-BlogMania giveaway! Prize #1 is from 39dollarglasses.com and open to US/Canada. One winner can pick two pairs of glasses from their site, up to a $150 value!! Prize #2 is from BlogMania Events, it is technically open WW; you can spend up to $20 at any one sponsor shop listed on the sponsor linky shown HERE. This is open to wherever your shop ships to. From any BlogMania bloggers that chooses to post this giveaway you can enter directly into the Rafflecopter form below. PLEASE NOTE entry method #2 is directions from this blog. This will be open from Sept 27th 12am, EST until midnight Oct 4th, 1 week. We will announce the winners via email from [email protected] on Oct 5th, you will have 48 hours to respond or another winner will be drawn. We thank you for your entry and look forward to seeing you on October 6th at noon for the grand event! Use the rafflecopter form below to enter, for Entry #2 follow Mommy of Two Little Monkeys with Google Friend Connect!